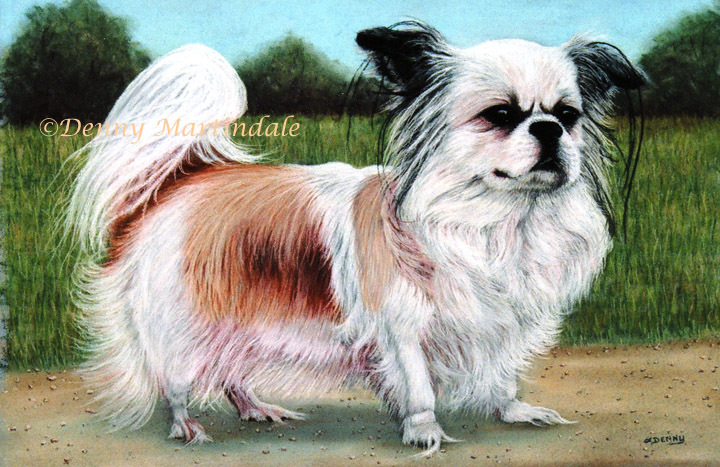 This little Shih Tzu was quite mighty in stature, hence the title I gave this painting, 'Mighty Me'. He was the ultimate farm dog, keeping his owners and the livestock in place. He did the chores with them, riding around their large farm on a four wheeler ATV, all terrain vehicle. It didn't matter if they were herding cattle or checking the fences, this little guy was the best farm hand around. His owners felt that I captured his demeanor quite well in the 11" x 14" pastel pet portrait.